It’s the love of my professional life. Yes, I love blogging… buuuuuut it hasn’t always loved me back.  I have name and brand recognition, traffic, community of readers – everything I need, really – to make Traffic Generation Café a financial success. I’ve recently had the ‘pleasure’ of discovering WHY. You might want to hear this, so here it goes. I know, this is very rough around the edges, but since this post is not really about making money online, it’ll do. …or so I thought anyway. Affiliate marketing seemed to be a natural fit allowing me to blog AND pay my bills. I was happy to let others put their blood, sweat, and tears into creating products. Do all the heavy lifting. And I was equally happy to take 50% of their earnings selling their products! Yeah, right… it’s anything BUT easy to make a good living off affiliate marketing. Internet marketing tools won’t make or break your business, but they WILL help you create a successful business a lot faster. Time is the one commodity you can’t buy, thus you have to maximize every minute you have. That’s where internet marketing tools come in. They help you make the most of your time. Problem is… which tools do it best? How do you find them? Truth is there are only a handful of them – a very select few that will absolutely propel your business – that you, a business owner, really need. And there lies a problem for me as an affiliate marketer. The fewer products I promote, the worse my chances are to earn a good living doing it. As a result, more and more affiliate marketers step into the gray zone of ‘this looks like a popular product… I don’t really like it myself, but the commission rate is great!‘… then they do it again, and again, and again. If a marketing tool is not a ‘HECK YEAH!’, then it’s definitely a ‘HECK NO’, as far as I am concerned, and I’ve never stepped over that boundary in my blogging career. And so, I have a short list of ‘Heck, yeah!’ internet marketing tools I use and recommend. Unfortunately, that’s not enough to turn this blog from a hobby into a business. Next, we have marketing training: courses, bootcamps, webinars, etc. Learning new skills in the always-changing world of business is crucial, thus marketing education is a MUST for any business owner. Don’t let marketing education become a form of procrastination! I’ve met too many business owners who continue to learn new skills instead of using the skills they already have. Education should be a pattern of theory and application – that’s when you are truly maximizing the effort (and the money!) you put forth. Education doesn’t come cheap these days – many marketing courses run between $1,000 and $2,000. Thus there’s serious money for an affiliate marketer to make. However, just like with internet marketing tools, when you say to your audience who trusts you ‘This is good stuff. Buy it‘, you put your credibility and reputation on the line. If a marketing course isn’t a ‘HECK YEAH!’, then it’s definitely a ‘HECK NO’, right? In October, I ran an affiliate promotion for a marketing course – about 7 emails sent out over a 2-week period. There was nothing wrong with that course. It was probably a very good one. …and all along I knew, had I been in my email subscribers’ shoes, I would’ve unsubscribed from my list in a heartbeat. My email list is my biggest business asset, yet I was willing to jeopardize it to build up another person’s business with no guarantee of a penny in return! Yes, I did subsequently lose quite a few subscribers. Thankfully, there was an upside to all this. Actually, a few upsides. Asking for forgiveness is never easy, but always the right thing to do. I wrote an email to my Traffic Hackers telling them everything: what I did, why, how dumb it was, and how terrible I felt. Some might say I went overboard, it wasn’t that bad, but at that time, that was the true reflection of my heart. Here is the email, by the way; judge for yourself. Turned out most of my Subscribers liked me enough to quickly forgive me. Moreover, I got hundreds of emails in response to my apology… in fact, I spent a better part of the next two weeks just talking to my Subscribers. That intangible personal connection that makes you stick with someone for better or worse was restored. It was incredibly wonderful and uplifting to get so many compliments, praises, and pats on the back, I won’t lie. Sincere, genuine and yet lite. You have a gift. I like your newsletters because they’re actually useful, they contain just the right amount of information without overwhelm, and keep me informed of things without me having to track everything 24 hours a day. In a stormy sea of dubious and confusing information, your newsletter always offers sunny, solid ground. More than once, your headline summaries have clued me in to something important. You are a valuable, trustworthy resource! You are the right person for all beginners. Do you know that for the past 3 years i’ve being struggling to generate traffic, and your simple strategy is the best i’ve come across. You have turned on the creative engine within my marketing spirit. You’re awesome! Very impressive email, Ana. Extremely personal and vulnerable. AND you made a valuable takeaway point. Your stuff is among the best. I was down with that… after getting over the initial ‘are you really trying to tell me what I should do?‘ reaction. ? ? And now, after some 1,500 words above (I had no idea I could write that much in under 2 hours!…), I am finally getting to the point of this post. Phew! I knew that the best way for me to make money online was to create products. So much so that in 5 years of publishing Traffic Generation Café, I have not ONE product to show for it. Not even a miserly $7 report of any kind. And then something amazing happened… I actually listened to what you were saying. To be more precise, I listened to whom was saying it. My most loyal readers and followers. The people who gave me their email addresses trusting I wouldn’t sell them to thousands of direct marketers and spam the heck out of them. The people who seriously want to learn how to drive serious traffic back to their websites. My Loyalists. My Heros. My LIST. They told me exactly what they wanted me to teach them and that if I did create such a training, they’d buy it. Sure it was inspiring to know you had more faith in me than I did in myself… however, there was still an iceberg in front of me I had to navigate. On the surface of things, I childishly refused to do the one thing that could actually turn this blog into a true business. That’s a stupid excuse though… even I can see that. But what’s underneath all this? The answer came to me in a few days – took some sleepless nights, but was very worth it. For a very observant and insightful (if I may say so myself) person, I couldn’t believe I hadn’t seen it before. It’s scary enough to start a business… and then we have to make hundreds of decisions, big and small, on a daily basis, that could make or break that business! Who am I to teach, give advice, speak in front of people? What if I can’t master the skills I need? What if I don’t have what it takes to see it through? Will I be laughed at if I fail? Truth is we’ll never know… until we do it. If you are struggling with the fear of failure, you might like to know you are not alone. Far from it. According to this list of top 100 fears, Atychiphobia – the fear of failure – takes #15 spot. Atychiphobia (comes from the Greek phóbos, meaning “fear” or “morbid fear” and atyches meaning “unfortunate”) is an irrational fear of failure that might affect an individual so strongly that they refuse to do anything that they can’t guarantee their success in. However, in that definition of Atychiphobia hides the good news, if you read it closely enough. Most of our fears are irrational – they make no sense, in other words. Fear might never go away, but we have to take away its power over us. Name your enemy. Shine the light of words upon it. Express it. Fight it. O Ana’s fear, what is thy name? …enough to keep myself away from the true financial success all these years? It wasn’t really the fear of not being good enough. False modesty aside, I knew what’s sitting inside this head of mine was GOOD. Awesome, actually. I put it to work for my business. I taught a few blogger-friends to do the same for theirs. So I KNEW it worked. So what was I so afraid of? I was terrified of feeling responsible for someone’s lack of success! Since I knew my methods worked, the only way to make them work in another person’s business was… to do the work for them. Hmmm… I was starting to see why my fear of being held responsible by people who weren’t successful was an irrational one. What if those people fail because they fail to do the work? What has been your most effective monetization technique, and why? My most effective monetization technique is the hard work I do every day publishing, syndicating that content, engaging, building relationships… and framing/extending my personal brand. What has been your least effective monetization technique? The least effective monetization technique I have found is hoping others will do that work for me.
? ? ? ❤️, Ted! Had I dealt with that fear about 4 years ago, I would’ve had an extremely successful consulting business right now… That’s how I made money off Traffic Generation Café back then and did a LOT better than I’ve ever done with affiliate marketing! Of course, there was another ‘little’ problem getting in the way… ? ? Telephonophobia (also telephobia, phone phobia) – the fear of making or taking phone calls. How Am I Dealing with My Fear? I am going for the very jugular of my fear and doing what I’ve been so fearful to do all these years – creating my very first bona fide training!!! …I am going to tell you all about it. The topic of my future course came very easily and naturally. 1. This was exactly what the #1 topic my email subscribers asked me to teach them about. 2. This post at Traffic Generation Café has consistently attracted the most quality links of all my posts. 3. As of late, every podcaster/interviewer who has invited me to share my traffic generation wisdom with their audiences wanted me to talk about this every topic. 4. I was recently contacted by Social Media Marketing World event organizers (? ? ?) and asked to speak at the next conference in San Diego, in March, 2017. On THIS VERY TOPIC! 1. Don’t turn down ANY request for an interview – however big or small, known or unknown the source seems to be. You never know who might be listening! It is during one such podcast interview that I was ‘discovered’ by someone from SMMW team. 2. Can you guess what other phobia is on the world’s top 100 fears list? #13. Glossophobia (from the Greek γλῶσσα glōssa, meaning ‘tongue’, and φόβος phobos, ‘fear’ or ‘dread’) – the fear of public speaking. Never a dull moment, huh?? Here’s a conversation I’ve recently had with my email list Subscriber, Ralph Moorhouse, who owns a site dedicated to vacation rentals in France. It took my breath away when I heard him say that, yet his is a common cautionary tale of the content that never could. You, a business owner, create content. You have great hopes for it – traffic, leads, sales. Yet nothing happens… the content just sits there… on your website… right where you put it. How’s your content going to fetch you traffic and sales if all it does is…yep, just sits there! Now, imagine your website is a cute little shop off the beaten path. Sure people would love it IF they had any idea it’s there to begin with. So what do you do? Can’t just sit there and twiddle your thumbs hoping your customers will somehow make their way into the shop, right? Here’s what I’d do: I’d put together a bunch of product samples, stick a card with the store name and address on them, then take them to the busy city streets, shops, markets, etc. Then and only then I could hope those samples would bring back customers and sales, right? And this, my dear online business owner, is exactly what content repurposing is. Content repurposing is a marketing strategy that puts your message in every format and on every platform your potential customers are looking for it. In other words, content repurposing (also referred to as ‘content recycling‘) takes your core content and gives it a fresh face, life, and purpose (thus, re-purposing), then SENDS it to where your customers are to bring them back to your site in the form of traffic. Sort of like boomerang… Content Boomerang! Let me give you a practical example of content repurposing in action. How could Ralph Moorhouse, my email subscriber and vacation rental website owner, recycle his existing content to finally give it the much-needed legs to go into the world and bring back to his site traveling aficionados dying to go to France and… oh, look at this cute B&B conveniently located right where they’d want to be!…? I’d tell him to start with an existing blog post he’s worked so hard to create and tell the story in visuals. He’d create a PowerPoint presentation (I could show him how to do it in a few minutes even if he’s never used PowerPoint before!) full of enticing images and short, but impactful text excerpts with a call to action at the end to come back to his site for more. Then, he’d save the presentation as a PDF and publish it to SlideShare. He could later embed that SlideShare presentation in posts all over the web: LinkedIn, Medium, guest posts on various travel sites, social media, etc. He would then go back to the PowerPoint presentation and save it as images. And where could he use those images? EVERYWHERE. All pointing back to his site. All working hard to bring back traffic and leads. The ultimate circle of content life! Ooooo… I like the sound of that…. In other words, what Ralph will have on his hands are endless possibilities to send his content out into the world and come back to his site in the form of traffic. My pilot Content Boomerang training will show him how to turn those possibilities into realities. I will teach Ralph how to drive serious traffic by repurposing content like I do. Would YOU like to turn these content repurposing possibilities into realities of traffic and leads for YOUR business? The good news is that the ONLY thing that stands in your way is the lack of skills. That’s where my pilot content repurposing training comes in. I will teach you everything I know the only way I know how: step by step, with screenshots and videos, explaining my entire process in a clear and logical way. …Wait, what? You can’t afford to spend time on getting more traffic, more leads, more sales for your business?… Nah! So put all the fears above to rest and discover just how simple it is to turn your existing and future content into a perpetual traffic-driving machine. Only I can’t. NOT kidding. Here’s the deal: it’s a pilot training, which means you and I get to create it side by side. all that at a fraction of the price of the full content repurposing course! Speaking of price, I think you’ll be very happy to learn it won’t come anywhere close to what those other guys are charging these days… $1,000? $2,000? I heard one was even charging $4,000!!! I am sorry, but I believe that GREAT training at affordable prices shouldn’t be a unicorn. challenge myself to grow by doing something I’ve been afraid to do for so many years. The Content Boomerang Pilot Training is currently open to new Members, but for a very short time. It closes Friday, January 13 at 11:59pm. If you are reading this post after the deadline… here’s the next best thing: join the waiting list! The full Content Boomerang training will be released in March 2017; so make sure you know when that happens. While I wouldn’t know how to intentionally sell anyone on anything, I am indeed very passionate about this. Everything above comes straight from my heart to yours. I truly want you to be the next content repurposing success story. I truly want to teach you the best of everything I know. YOU will still have to do the work. I am offering you possibilities. It’s up to YOU to turn them into realities. Now I can turn it into LITERALLY hundreds of pieces of content to publish to various platforms where my audience is hanging out RIGHT NOW… and bring them back to TrafficGenerationCafe.com. …like I’ve turned it into a video, posted it to YouTube, plus embedded it at the top of the post as a post trailer. Not bad, right? A couple of hours of work with a much better return on investment as opposed to writing yet another blog post (takes me about a week), then still having to promote it – it just refuses to bring traffic all on its own… how dares it!!! ? Ahhhh… BEHOLD THE POWER OF CONTENT BOOMERANG! Thank you for your kind comment Ana and for pointing me to this thoughtful post of yours On Fears, Possibilities, and Realities. It’s so well-written, and now I’ll give my opinion why. First observation: Readers love to see when the blogger is passionate about what she or he is doing. It’s obvious that you are passionate about blogging, not just from the capitalized letter 🙂 we see it from the beauty of the blog post design, the blog post structure etc. Second observation: The beginning of the blog post enables the reader to identify, (the majority is OK, but something bothers,) we all feel like this sometimes. When we blog on a regular basis we know exactly what you refer to. The same goes for your harmonic YouTube about how we react to irrational fear. In your YouTube, you also ask: Who will listen to me? I think your post about being very accurate about what we agree to promote and what we say no to can make the whole difference. It’s really the education rather than the commission that we should focus on to make progress. I use to think of my blogging education as controlled education. I have no interest in learning other aspects that what I’ve put on my own agenda because all learning for me must have a purpose. Fourth observation: I love long blog posts like this one. It shows me the blogger takes his blogging seriously. Some readers though, have a habit of not reading long blog posts. For those, I would say this could be the ONE takeaway they should remember from your blog post. Personal relationships do trump it all. Love the way you put your personality back into your e-mail marketing. This is a crucial point. I’ve noticed one thing with bloggers when they grow big, they tend to use ‘quasi-personal’ email marketing, for example, automate their programs to use my name, even though they have no idea of who I am. Those kinds of automation’s are no goes in my world. What a wonderful story about how your community stood up and supported you to figure it all out. Fifth observation: I’m the kind of reader who’s in when you write your next blog post above 1500 words. I’m impressed you can write such a thoughtful blog post in just two hours. Sixt observation: It’s uplifting reading with your honesty. It’s my impression that your readers can learn from it when you explain how your audience had more faith in you to create products than you had in yourself. Seventh observation: It works really well to put an odd word (atychiphobia) in the beginning of your blog post/YouTube and get back to it later in the blog post with an explanation. It has a connect-the-dots-effect. Eight observation: It was enlightening to read about the different kinds of fear because really, fear is not one one thing. What if the blog posts I’ve learned from are built on fantasy rather than facts? The end of that story was that some were fantasy and some were facts, but it all worked out as it should. Ninth observation: The YouTube at the beginning + the slide at the end worked well. Tenth observation: You have some wonderful people commenting on your blog, (in fact all, but some stood out when I went through the comments): Donna Merrill, Ken Evoy, Tim Felmingham, Geoff Dodd, David Hartshorne, Mary Lannotti, Lisa Irby, Kurt Frankenberg. What I’ll next is put your blog post on my social media sharing list scheduled for friday. Wow, thanks so much for taking your time to share your thoughts, Edna! Loved your observations; they definitely gave me plenty of food for thought. Steve Job’s quote was a great one. YOU are the fabric of the life around you just as much as any other person. We condition ourselves to follow, to think that we don’t have the kind of ‘greatness’ it takes to lead… yet nothing could be further from the truth. The difference between a leader and a follower is the courage to step up to the plate. Another good thought: “all learning for me must have a purpose.” Absolutely. Know WHY you want to learn anything, what the desired outcome is. Don’t learn for the sake of learning. I am a believer in Christ as well, which means we are so much harder on ourselves when it comes down to vetting products! However, mistakes happen, in some shape and form, as evident in this blog post. What matters is how and if we correct them. That’s actually one of the reasons it takes me a while to finish a blog post: I do extremely thorough research. Never trust a single source. Can’t stress that enough!!! TRULY appreciate you coming by, Edna. Thoroughly enjoyed ‘hanging out’ with you in the comment section! Have a blessed weekend, Edna. Look forward to seeing you around! Great share on fear and how it can stop us and get in our way. It reminds me of the “War of Art” by Stephen Pressfield. Fear keeps us safe and generally the closer we get to achieving success the stronger the fear or as he calls it “resistance” becomes. Great tactical advice about traffic generation but the dialogue around fear I found most motivating. Sounds like I need to read the “War of Art”; makes a lot of sense! Appreciate you coming by and taking time to comment, Todd. What a great share! I remember when I had to cross that scary threshold and create my first product. Little voices in my head were saying no…no one cares…all that. So I had hired a coach to whip me into shape and make me accountable to get it all done on a timely basis. That was a few years ago. Fear makes us stuck and when we notice that happens it is time to reach out to another for help. This is why I truly believe to get coaching, privately if one can. The investment is worth more than anything. The monetization is one thing, but the growth we go through is priceless. Thanks so much for the thumbs up, Donna – means a lot! I absolutely agree with you. When dealing with fear, use all means possible to nip it in the bud. And a coach would certainly do it; so glad it worked for you! Very Merry Christmas to you, Donna! ? ? Sometimes, not giving ourselves (or simply not having the time to!..) a chance to think about our fears is the best way to go… and for us, moms, it’s the ONLY way to go! Otherwise, we wouldn’t be able to function! ? ? So sorry to hear that, Susan!!! Not sure what happened… if you email me though (you’ll get my response to your comment in your inbox), I’ll make sure to get you in at the pilot price. Great post (as usual!) Ana. As we discussed, that same launch didn’t work for me either, although personally I didn’t feel it did any harm – it was good content for our subscribers, just not very worthwhile for us. Amazing that it turned completely around and increased your engagement with your subscribers after you sent your ‘apology’, and even better that it led you to this new path which I’m sure will make a huge difference for you. Uncannily, even though we haven’t spoken since then, I have through a similar period of reflection, and have quite separately hit on the SAME solution! After many years as an affiliate marketer promoting other people’s products, which has gone very well for me, I too have decided that the way forward is to create my own products, and am now working on my first online course. Big change for me, and a bit scary for the first one – especially the video part (I have a face made for radio not TV)!
? , Tim – great minds think alike! Very excited to see what you come up with for your first product; keep me updated. Thank you for sending me a copy of the above! I can concur that there so many “guru’s” outhere and each with their own version of what works and what doesnt. I think the biggest hurdle is that the market is flooded with “tools” and you can get lost in the that turmoil, preventing one from taking action. Can’t wait to see what you have for us. I feel I’m getting an education in essential things. because I don’t want to miss out on being one of the 200. I am soooo excited and honored you were able to join me, Gareth – look forward to working with you! ? I have clicked on ‘To be notified of Ana’s LIMITED Content Repurposing Pilot Launch, enter your email below’, and now a good 10 minutes later the tab is still spinning… not good. Tried three times now. Thanks so much for letting me know, Victor, AND taking your time to troubleshoot it! ? Found the error (it was in the form code); fixed, good to go. The good news is you are already on the list! Have always had ethical problems about list building. The “experts” say the money is in the list…. so we are told go build a list and then tell lies. Your tale struck the right note with me…thank you for confirming that there is indeed a better way. That’s a very interesting dilemma, Martyn – the direction a marketer chooses to take will most often come down to their personal moral fiber and comfort zone. Are they willing to treat their list as a leaking bucket and keep filling it every time they send out an affiliate promotion like the one I talked about above? Obviously, their Unsubscribe rate will be a lot higher, so they’ll have to work a lot harder to keep growing their list, constantly. On the other hand, their income might be higher as well. It’s just basic math. So back to your question/statement, Martyn. The money IS in the list. It’s up to you how you choose to make that money. PS I’ve asked several A-listers how often they think it’s appropriate/acceptable to email promotional campaigns to an email list. At that time I was doing about 3 a year and felt I was pushing it. Great project you have here, Ana. It’ll bring people independence. Much appreciated, Geoff. And it goes beyond your comment – I appreciate you being a long-time follower and supporter. Truly. Merry Christmas, Geoff! ? ? It’s amazing how FREE I feel once I took my fear head on, David! Even though I constantly feel like I have no idea what I am doing while trying to launch this pilot (probably because I don’t! ? ), I LOVE it! Even the things that used to scare me senseless in the past. The freedom from fear is priceless… It’ll be helpful to remember that the next time I start feeling like fear is taking over me. And thanks so much for your encouragement; much appreciated! Your honesty and transparency are an inspiration for everyone trying to make it in the online marketplace. I’m sure your course will be a success because you’ve demonstrated an aptitude for teaching through your blog posts and free guides. And there’s a huge need for what you’re offering – a better ROI on content marketing through repurposing. I bet it’s a relief to know that if fear and doubt creep in again, you can lean on your community for support. So true, Mary – it was wonderful to see that so many people rushed to help me get up; priceless! Definitely helped me refocus on the kind of business I want to run – people business, NOT numbers business. And I certainly appreciate your encouraging words. Do hope the launch goes well; but even if it doesn’t, I might have plenty of strength left to rise and try, yet again. ? ? How’s the winter in Boulder so far? It’s a very special place in my heart; that’s where my husband and I got married almost 20 years ago. I also got married in Boulder Ana! And I lived in SF before that. We seem to love the same places. It’s been snowing in the high country so I’m chasing the powder on my snowboard. Although you did lose me at ‘snowboarding’… I am more of a ‘glass of wine in front of a fireplace’ kind of girl. Enjoy the snow, Mary! Looking forward to your content as usual Ana ! Ana, you should frame parts of this blog -savor beyond social media quotes! I can tell from reading your blog why your writing genuinely connects with others -you’re humble, vulnerable and caring, as well as smart and successful. As a future course idea -something that helps bloggers with ways to get over their fears could be highly valuable. Also a fan of Ted Rubin’s humanized marketing style. Frame it? That’d be interesting… ? On the other hand, framing “You’re humble, vulnerable and caring, as well as smart and successful” would work nicely!!! ❤️ ? ‘Humanized marketing’… that’s very well-put, Keri. Hey Keri, thanks for the kind words. If you are only focused on the Money… You risk completely overlooking the People. Keep your great perspective and make it a great Sunday. Am blown away by the awesomeness of this post. Really the headline got me thinking about Jon morrow’s On Dying, Mother’s and Fighting for your ideas. I love the post because it spells out the one reason why many bloggers get stuck and eventually give up. I must admit it right now that am a victim! Sometimes I see Clearly what I desire, maybe to reach out to an influencer to promote my post, maybe to send a guest posting script or maybe send a complement! Inbetween Me and Action is Fear! Fear has crippled productivity, it has weaken writters and destroyed many! Here’s my challenge to you, Charles – START. Today. Right now. Do one thing for your business that scares you. DO it. Then come back here and tell me/us about it. A quick story to encourage you: about 2 years ago, a guy I’d never heard of before, Kurt Frankenberg, sent me a Starbucks gift certificate just to thank me for all the helpful content I publish at Traffic Generation Café. A simple and sincere gesture. Now, 2 years later, he’s my partner in creating the content repurposing training! Nothing big happens without that first little step, Charles. Yea one of the best post in the history of Copyblogger By Jon morrow. You’ll love the post… I’ll surely get back here. Thanks Ana, You made my day. Honored by the mention Ana. Welcome to the ‘Age of Influence,’ where anyone can build an audience and effect change, advocate brands, build relationships and make a difference. It’s all about Attitude, Perspective… Mindset! #NoLetUp! And thanks for taking your time to come by and comment! You bet Ana, my pleasure. Relationships are like muscle tissue… the more they are engaged, the stronger and more valuable they become. Glad to read your wonderful post! I am regular reader of your post and I really enjoy your post from top to bottom line. Internet marketing tools are really helpful to boost our business in faster manner. Today, on internet several tools are floating to solve same problem so it become very difficult to choose effective one for us.It appears clear that content creators are turning to repurposed content to improve SEO, reach new customers and increase retention rates. Social networks such Facebook, Twitter and LinkedIn each one is a great tool to repurpose and share our content. Eventually, thanks for sharing you experience in brief with us. You are so very welcome, Amar; I appreciate you coming by. Ana, I’m soooooooo proud of you. Taking that first step into the product creation world is scary. It has you doubting yourself, analyzing and over analyzing until you are paralyzed. Trust me. I’ve been there. But as long as you stay true to who you are and where your passion lies, you will be fine! I have always wondered why you never launched a product of your own so I appreciate all this juicy insight you’ve provided here. A lot of people are probably in your same boat but would not be brave enough to admit it. So I applaud you for your vulnerability and honesty. These kinds of blog posts are always a joy to read. Thank you for everything you’ve shared over the years and I look forward to seeing where this venture takes you! You are such a valuable asset to the Internet marketing world and I have no doubt that whatever you put out will be fabulous. Thanks so much for your encouragement, Lisa!!! That last part – tweaking, changing, growing part – never ends, huh? 😉 That’s what makes business (and life!) exciting though… status quo gets boring pretty quickly. You’re one of a few voices in the blogosphere that I deeply respect. Your “confession” above was beyond amazing. We all make mistakes – the bigger mistake is to make excuses or otherwise try to explain them away. You met it head on, no fudging. Beyond that, though, you deliver what solopreneurs can actually USE – common-sense 80-20 information that can actually impact results. And you emphasize an area that we (SiteSell) have not (yet) explored for our own clients – repurposing content. – failure to establish a voice and create standout content (if you can do that, why would you NOT want to re-purpose it and get more out of it). – failure to monetize sufficiently to reach your goals (whatever those may be). What does it take to get those key 5 milestones right? It’s about nailing the basics. It’s NOT about 95% of what you read in the blogosphere. Heck, if folks knew how high the failure rate is for solopreneurs (a study we did recently for Trafeze), they’d likely stop trying. I believe it’s so high because there are too many people offering too much complex information (and that doesn’t count the “bad guys” out there, from GRQ to “honest-but-wrong” info). You cover what matters, what solo’s can actually DO. It does not take rocket science, tech savvy, incredible widgets, tons of analytics, etc. It just takes the right process and some solid info, all put together into the right order. Most of all, helping solopreneurs takes an acute awareness of their biggest problem… time constraint. Don’t waste their time with 20-80 info. 1) Content – this is the engine that drives everything else. Repurposing leverages that engine. There’s nothing like turning a V8 into a V12 with only a little more work. 2) Monetization – Most solopreneurs start with passive income (AdSense and affiliate programs). If you traffic is high enough, it can generate enough income for you to be content. But our clients have learned that it’s a sucker’s game, long term. Instead, conceiving/ creating/ developing/ making/ marketing/ selling/ support your own product puts YOU in total control of your business. And the profit margin shames every other option. It’s next-level stuff from which you never turn back. Yes, ramping it all up does take TIME (the resource that is in such short supply). But once done, maintenance time is much lower and the profit margins are higher. Plus your profile grows in your niche. You are no longer beholden to 3rd party platforms that tell you what to do and who have the power to cut you off entirely (as both Google and Amazon have done). THAT is when your business not only pays you a salary, it builds true value (i.e., equity). These are some incredibly hit-the-nail-on-the-head insights, Ken; thanks for taking your time to share them! And that’s the kind of stuff people, unfortunately, rely on to build their businesses – only to learn that, after the initial ‘wow, this sounds great’, there’s little to no substance they can actually USE. 2. continuously sharing the heck out of it on social media to keep driving at least SOME traffic… but who has the time for that, right? Truly appreciate all your support, Ken – absolutely loved getting to know you in the past few weeks (all thanks to that apology email; made it worth writing it just to ‘meet’ you! ), as well as SiteSell and Trafeze. We have a lot in common, mainly our desire to help businesses with actionable processes that WORK and our distaste for fluff. Here’s to you ☕️ ! I can’t imagine a better person to speak (at Social Media Examiner’s biggest event ever, no less!) or teach on the subject on Content Repurposing. Since reading (DEVOURING is a better word) the posts on TGC and other places that you post… and having the good sense to get on your email list and get more in-depth snippets on this subject, I’ve been able to make my own content generating and traffic grabbing activities grow by tenfold, while working less. I can honestly recommend your product without having seen the latest iteration of the material, not because you’re the recognized expert on content repurposing… but because I have PERSONALLY made spendable cash using it, while at the same time cutting down how difficult content generation seems to be. Content generation on multiple platforms doesn’t need to be hard, or require some in-depth tech knowledge… just your checklists, schedules, and simple hacks. Whew! Okay Ana, you know I'm your biggest fan so I hope you don't mind me grabbing some limelight. Thanks for all you do for bloggers, marketers, and business owners looking to get viewers for their message. LOVE hearing about your successes, Kurt. With a little guidance, from me and others, and a lot of YOUR hard work, you’ve proven to be unstoppable ❤️! I so admire you for that; honored to be your friend and colleague.